Only if we can update our relationship status when it’s true – Facebook founder and Chief Executive Officer (CEO) Mark Zuckerberg (28) capped off a busy week by getting married yesterday to a long time girlfriend Priscilla Chan, reported TMZ. Reports also stated that they exchanged vows at a small ceremony in their backyard attended by less than 100 guests in Palo Alto, Calif. The reports continued to ascertain that guests thought they were going over for a surprise party to celebrate Chan’s graduation from UCSF medical school, where on May 14 she received her degree in Pediatrics. 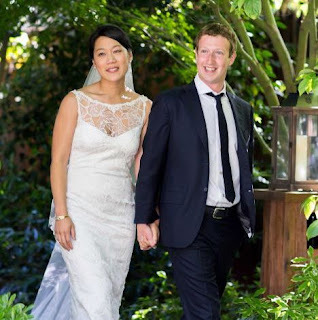 However they also reported that Zuckerberg and Chan had been planning the weeding for a period more than four months, and that’s according to a source authorised by the couple. TMZ also reported that according to a neighbour there was plenty of upbeat music all night – including Flo Rida, Bon Jovi and Janet Jackson. But the overwhelming favourite was the heavy rotation of the late king of Pop himself, Michael Jackson. Forbes reported that the couple have been dating on and off for nine years, since their Harvard days.